Well, there are lots of cool chickens in the world, but this one is pretty neat. This week my mom and I were driving around the Shenandoah Valley and found a lavender farm. There were a bunch of beautiful chickens walking around, but this one was exceptional. She was a tiny little girl, about the size of a 14-week-old standard chicken, and her feathers were the most remarkable opalescent porcelain blue, buff, and pearly white. She had crazy fancy feathered legs. She made fantastic little noises and was so charming I wanted to stick her in my pocket and smuggle her home. 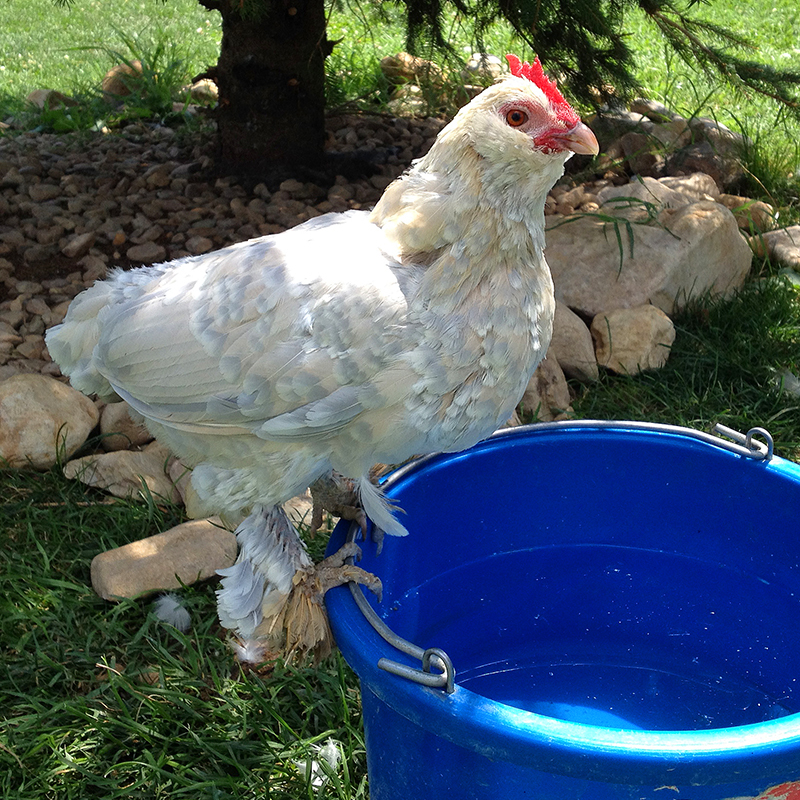 I figured out that she’s a Belgian d’Uccle. I’d love to have a few of this bantam breed some day, even though I am not sure how they’d do housed with the big guys. So many chickens, so few resources to collect them all! Do any of you have insight about keeping d’Uccles? You are currently reading The coolest chicken at Bonafide Farm.